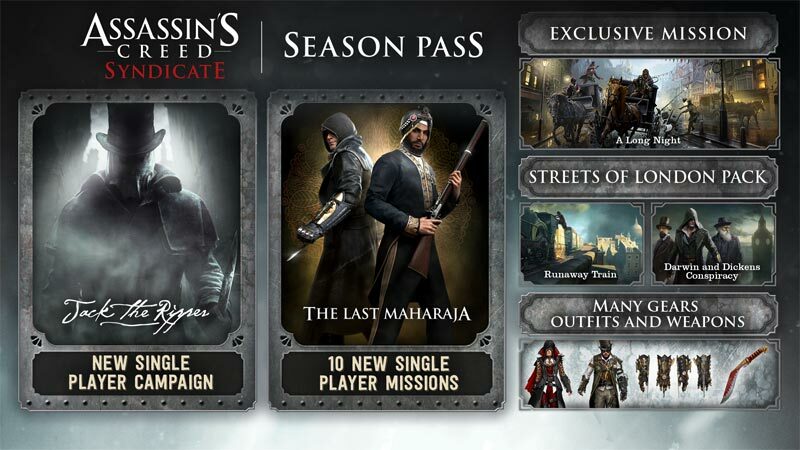 Assassin’s Creed® Syndicate Season Pass - Buy and download the game here! NOTICE: Requires the base game Assassin's Creed Syndicate in order to play. Activation key must be used on a valid Uplay account, requires internet connection. © 2015 Ubisoft Entertainment. All Rights Reserved. Assassin’s Creed and Ubisoft, and the Ubisoft logo are trademarks of Ubisoft Entertainment in the US and/or other countries.